Today, Wednesday, the 21st September, Robert Brunner lost his battle with cancer. 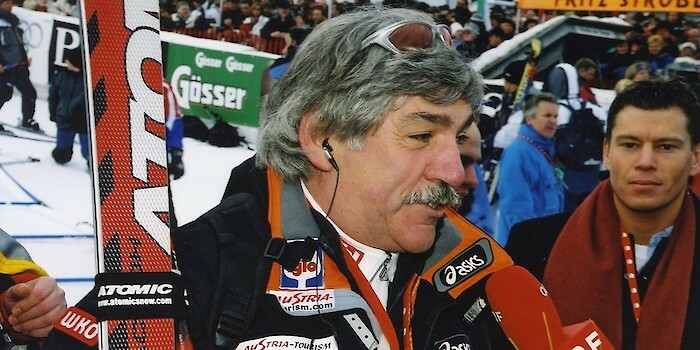 Brunner was a well-known personality in the skiing world. Born in Sterzing, he was the PR manager for Alberto Tomba (ITA) for many years and worked at the Austrian Ski Federation from 2001 to 2010. Robert was a cheerful presence in the finish zone of Ski World Cup races and looked after the ski stars. At the beginning of 2010, the former FISI President, Gianni Morzenti, brought him back to the FISI Italian Winter Sports Federation as Sports Director, where he managed marketing and sponsoring until four years ago. At the beginning of September, despite the ravages of ill health, he assisted the successful bid for Antholz in South Tyrol to host the Biathlon World Championships 2020. The K.S.C., Organizers of the Hahnenkamm Races, will honour Robert Brunner’s memory. Our deepest sympathy goes out to his family.